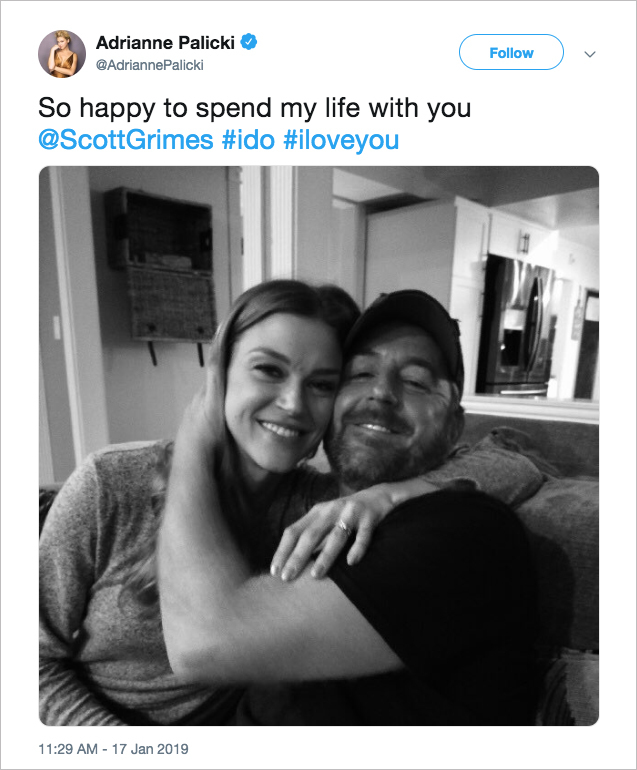 Home > Celebrity Style > Adrianne Palicki & Scott Grimes from 'The Orville' Are Engaged! Adrianne Palicki & Scott Grimes from 'The Orville' Are Engaged! The costars met working on the science-fiction show. Love is in the air! Another celebrity couple announced their engagement. This time it’s Adrianne Palicki and Scott Grimes, who are costars on the science-fiction show The Orville. The couple has been private about their relationship, although the actress did post about the duo going to San Diego Comic-Con to promote their show together. Scott has been a mainstay in Seth MacFarlane’s world. In addition to The Orville, he has also voiced a recurring character on Family Guy and has a main voice-over role as the son on American Dad. Adrianne, on the other hand, has had several action roles, including John Wick and Marvel Agents of S.H.I.E.L.D. However, her big break would be her role in the first three seasons of Friday Night Lights. Though her character Tyra primarily had an off-and-on relationship with Tim Riggins, as played by Taylor Kitsch, she also dated Landry Clarke for a time, played by Jesse Plemons. Jesse is also engaged, and he and actress Kirsten Dunst are expected to tie the knot in a quiet ceremony this year, after welcoming their first child together last spring. Learn more about the recent celebrity engagements of Christ Pratt and Katherine Schwarzenegger, Anthony Ramos and Jasmine Cephas Jones, and Michael Clifford and Crystal Leigh.